For this watch series the automatic winding movement 14069 DD is used. 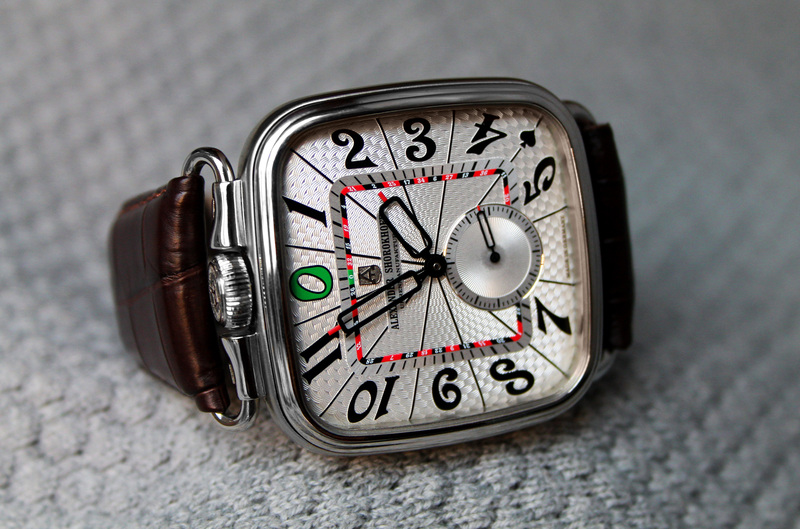 The movement is disassembled and refurbished at the “Alexander-Shorokhoff” watch manufacture. The bridges are engraved, gears are polished or guilloched and screws are blued. Last but not least, all components are carefully reassembled and appear in their perfectly crafted beauty. 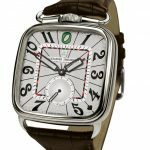 Next to the “12” is a perfectly fitting flexible strap lug for the croc leather band that is supposed to be reminiscent of the bygone era of the 19th century. This is also where the crown is situated, which ensures a harmonious-symmetrical ensemble. 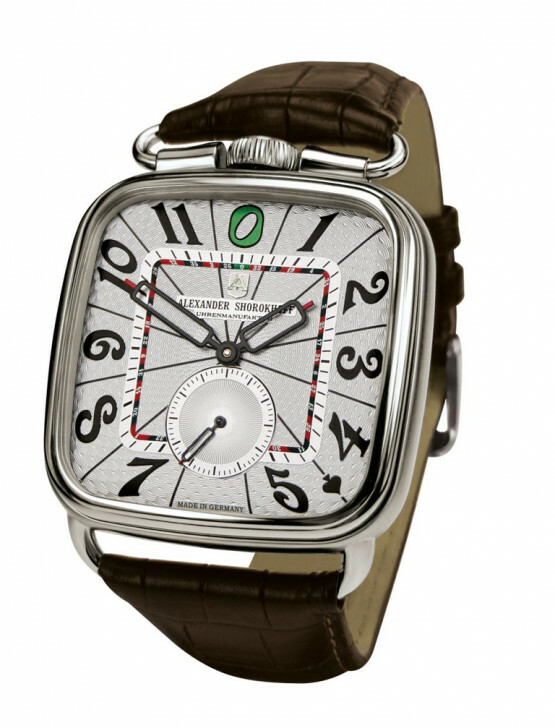 The design of the dial is dedicated to the themes of the writer’s novels. 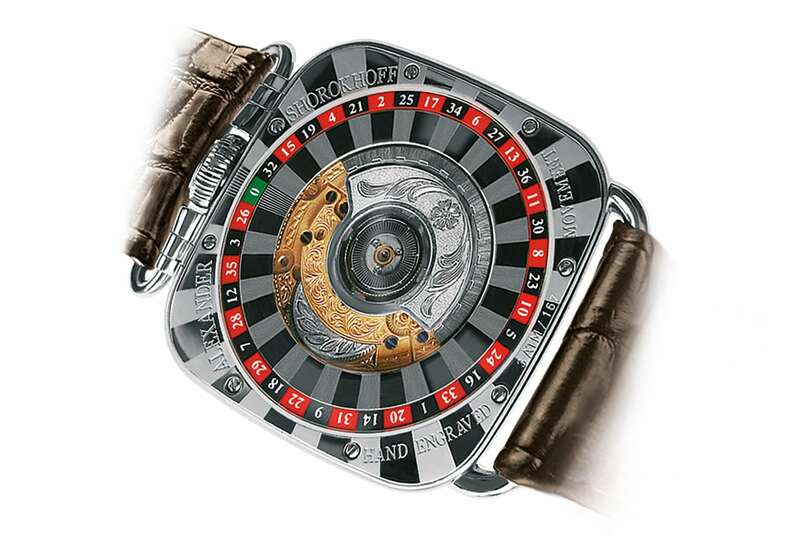 The automatic winding model was created with a dial representing a roulette with 36 figures and the green “zero” in the middle.